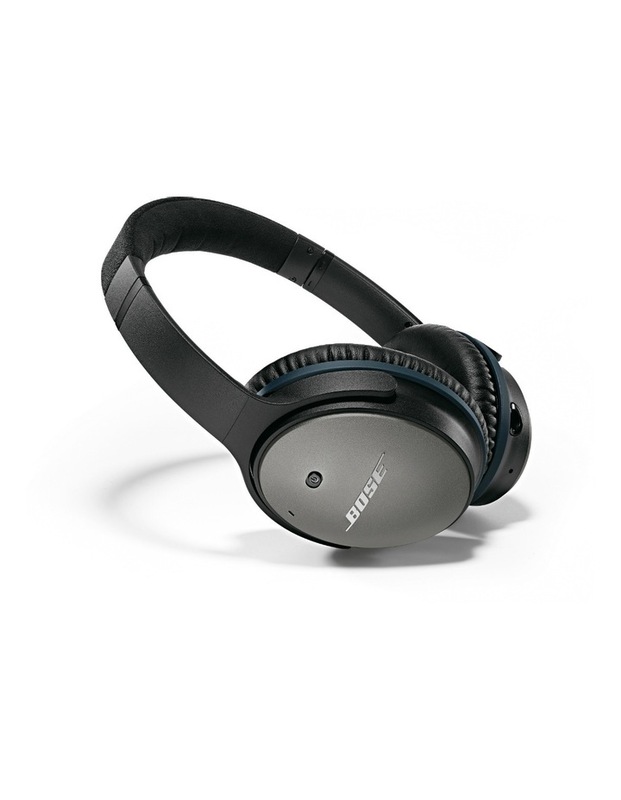 Bose QC25 Noise Cancelling headphones give you crisp, powerful sound and quiet that lets you hear your music better. With proprietary Bose Active EQ and TriPort technology, enjoy deep, clear sound. Significant noise reduction for travel, work and anywhere in between. Up to 35 hours battery life. Lightweight around-ear fit you can wear all day long. Inline mic/remote for music and calls on Apple devices.